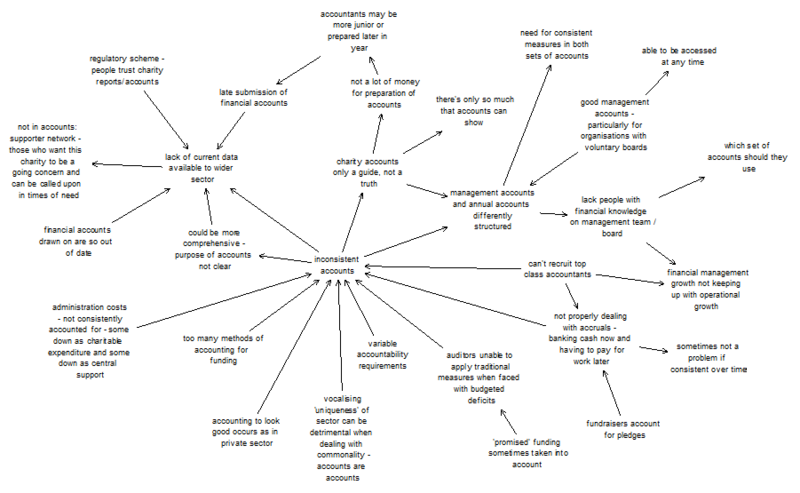 This is a concept map of the responses of eight UK interviewees as they related to using financial accounts as a data source for judging the financial health of social purpose organisations. It is raw data and as such, should not be assumed to reflect recommended practice. Arrows roughly mean ‘leads to’. Arrows with a minus sign next to them mean ‘does not lead to’. Thanks to the National Audit Office (UK) and the London School of Economics for supporting me to do this work (completed in 2009).